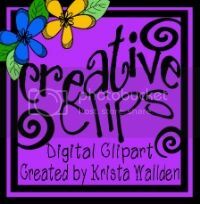 has been super BUSY and has flown by! 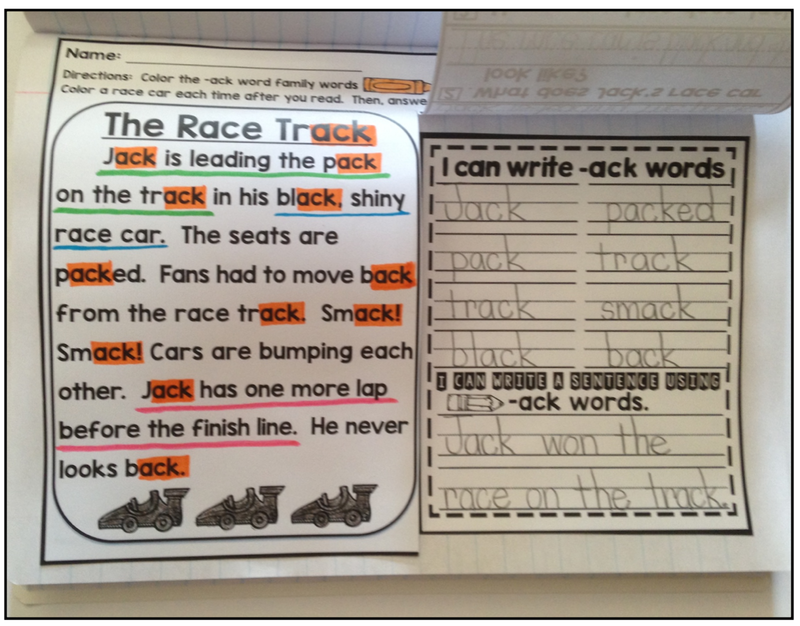 During Daily 5 my students have always had a fluency passage where they had to find the words and write them down. However, I wanted a passage that would not only cover fluency, but comprehension and vocabulary as well. 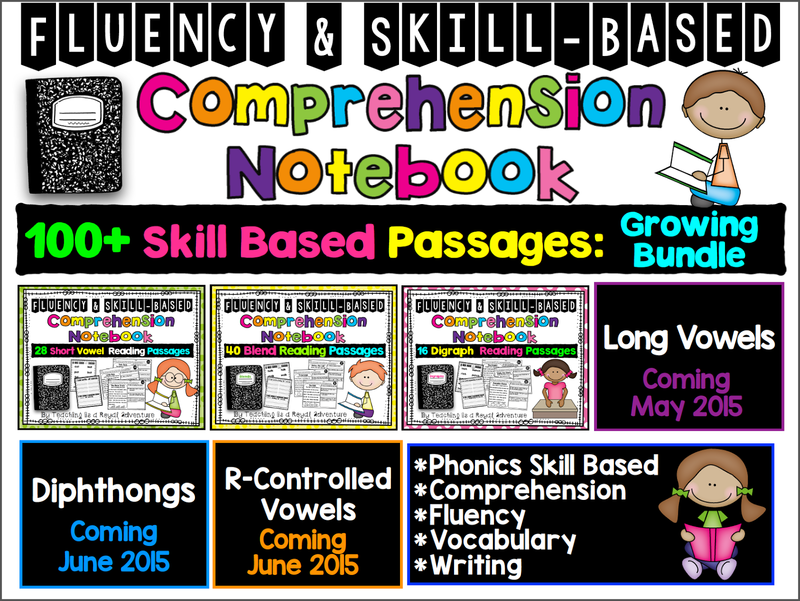 Thus, I created the Fluency and Skill Based Comprehension Notebook. 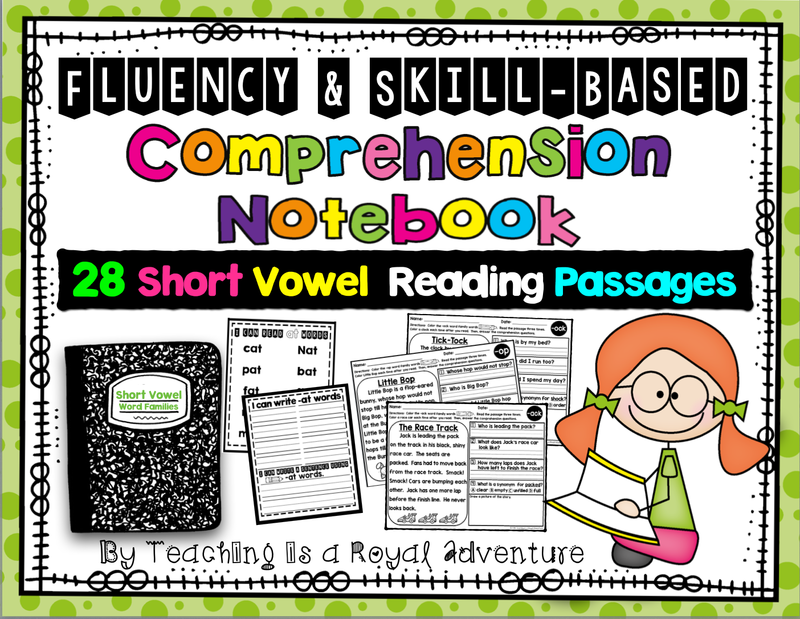 Now students, each week, will be able to review a Phonics Skill, Comprehension, Fluency, Vocabulary, Writing, and will be able to store it in a composition notebook. Throughout the year they can refer back to their notebook for each phonics skill and at the end of the year they will have a notebook with all the skill based patterns they learned throughout the year. 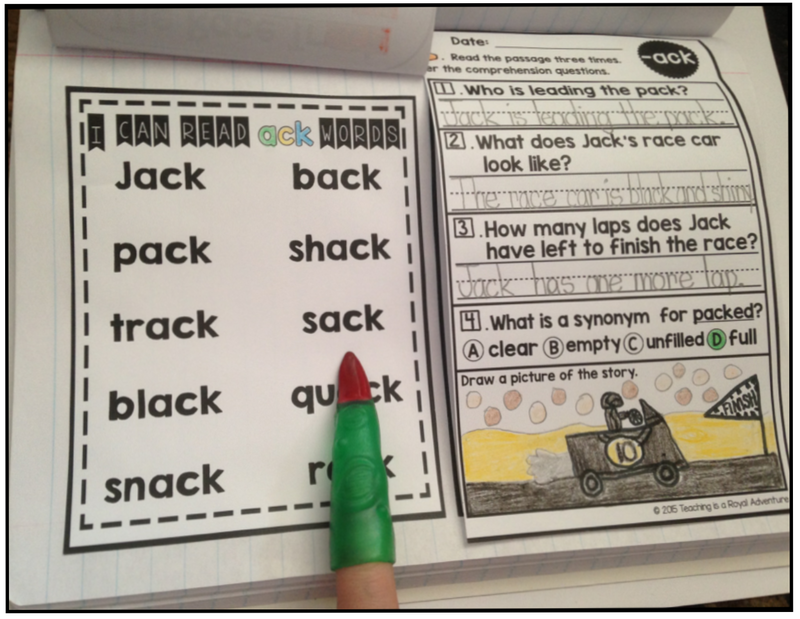 Students can highlight the phonics skill words. Then, they answer three comprehension questions and one vocabulary question. To further their comprehension they will draw a picture to illustrate the story. To build fluency each time a student reads the passage they can color a picture clue from the story. 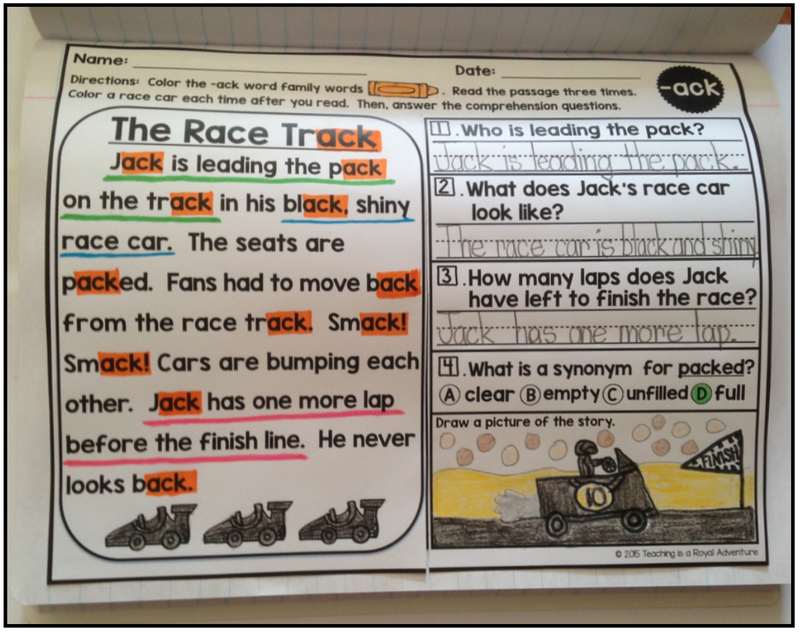 Students can cut between the lines to the top of the passage line and paste the writing activity underneath the comprehension questions. 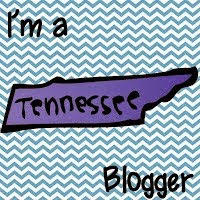 Students can paste a word list underneath the writing passage. 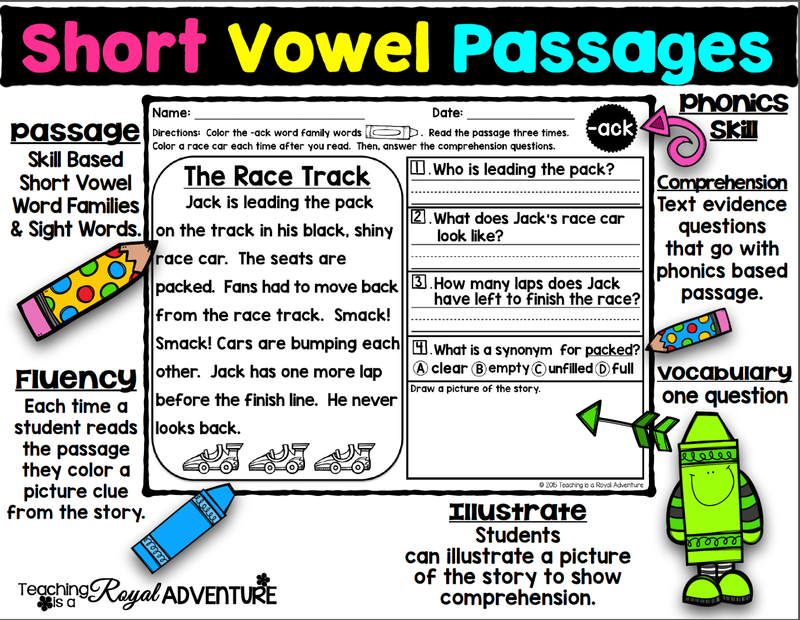 Another look at how students can paste a word list and writing activity underneath the reading passage and comprehension questions. Save HUGE with the Growing Bundle! When the bundle is finished it will have over 100 passages. You can check out the Growing Bundle by clicking the picture below.